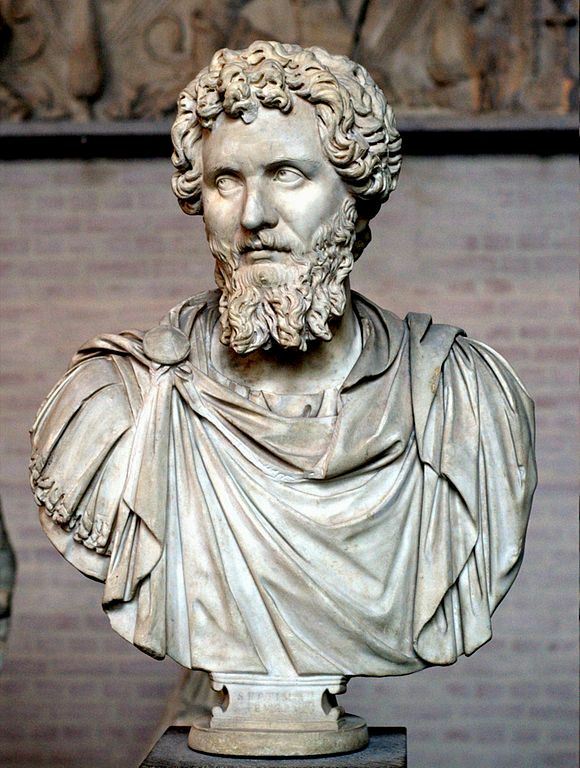 Lucius Septimius Severus Augustus was Roman emperor from 193 to 211. He was born in Leptis Magna in the Roman province of Africa, and advanced through the cursus honorum under the reigns of Marcus Aurelius and Commodus. Severus seized power after the death of Emperor Pertinax in 193 during the Year of the Five Emperors. After deposing and killing the incumbent emperor Didius Julianus, Severus fought his rival claimants, the generals Pescennius Niger and Clodius Albinus. Severus spent most of his rule fighting wars against Parthia and strengthening the borders of the Empire. He died in early 211 at Eboracum (today York, England), and was succeeded by his sons Caracalla and Geta. (7) Septimius Severus 193 A.D.
(13) Septimius Severus 195-196 A.D.
Ref: Josifkovski 121; Varbanov 3847 ?? ?